Time is running short to get your tickets to the 93rd Annual Hopkins County Chamber of Commerce Banquet on Thursday, February 14, at 6:00 p.m. at the Hopkins County Civic Center. We are introducing a Networking Cocktail half hour at 6:00 p.m. Dinner will be served at 6:30, and the awards will follow at 7:00 p.m. Please take this opportunity to bring your family, friends, and employees to an evening of dinner and community awards including Large and Small Business of the Year, Educator of the Year, Caregiver Award, Agriculturist of the Year, Woman of the Year, and Citizen of the Year. Our banquet theme is “Love Makes the World Go ‘Round!” and is set in various places around the world. This is your chance to bring your sweetheart on Valentine’s Day to enjoy a night bursting with community pride. Red attire is encouraged, but not required. Individual tickets are $30, and tables of ten are available for $500, which includes preferential seating and visible labeling of your business. We are excited for you and your business to join us for this extraordinary evening. 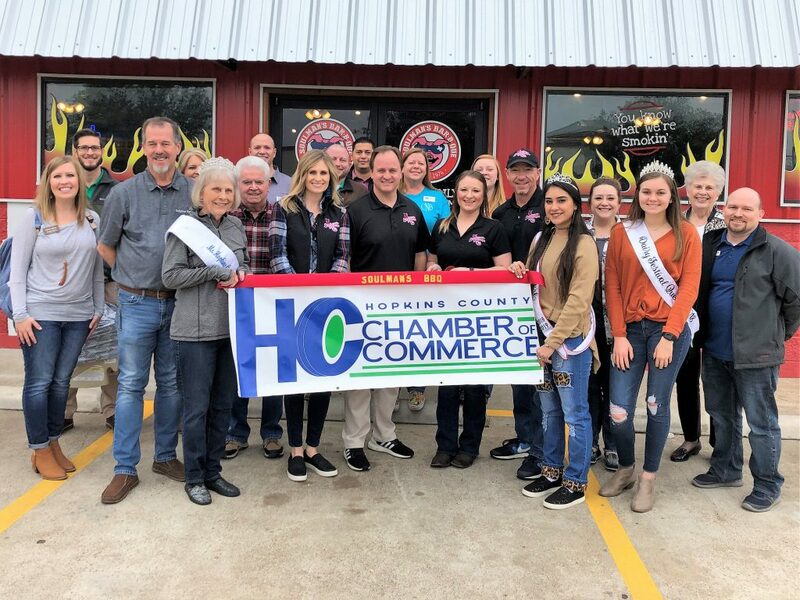 Please make your reservation TODAY by calling Chelsea, Cathey, or Lezley at the Chamber of Commerce, (903) 885-6515, or by stopping by to visit at 128-A Jefferson Street (off College St.) in Sulphur Springs. Flowerland Florist, located at 411 Gilmer in Sulphur Springs, will host a ribbon cutting celebration with their new owners on Monday, February 11 at noon. Please make plans to attend and welcome the new owners to Flowerland. Texas A&M – Commerce Career Development is hosting a Non-Profit Career and Internship Fair on Tuesday, February 12 from 11:00 a.m. to 2″00 p.m. in the RSC Conference Rooms. The cost is $75 and includes one table for volunteer and intern recruitment, two lunch tickets, and two hours of student engagement. Please register at www.hirealion.com. The Hopkins County Commissioner’s Court is hosting a ribbon cutting for their newly constructed courtroom located at 282 Rosemont Street in Sulphur Springs. It will be held at 11:00 a.m. on Wednesday, February 13. Please join us! 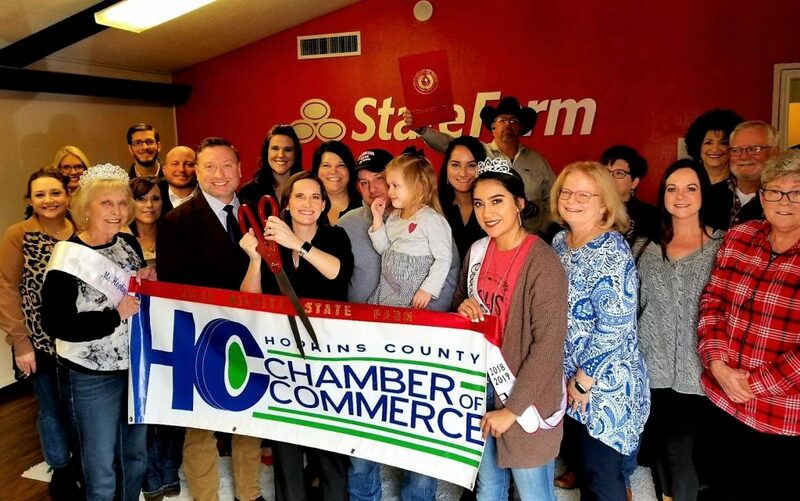 Julia Wilhite State Farm hosted their ribbon cutting celebration on Wednesday, January 30 at noon. Julia’s State Farm office is located at 1030 Gilmer Street in Sulphur Springs. Soulman’s Bar-B-Que hosted their ribbon cutting celebration on Friday, February 1 at 11:00 a.m., and their grand opening celebration on Saturday, February 2. They are located at 1201 S. Broadway in Sulphur Springs.